Katharine “Katie” Leonberger is the President and CEO of Community Resource Exchange (CRE), a nonprofit consulting firm that provides the strategies and tools needed to build sustainable, high-performing organizations that improve people’s lives and drive social change. In addition to her role leading the organization, Katie specializes in organizational development, innovation and planning, and leads select client engagements in these areas. In addition to her service on the Cities of Service board, Katie currently serves as board chair of Microlumbia Fund, a nonprofit microfinance fund she co-founded at Columbia University that invests in and provides pro bono consulting services to microfinance institutions. She holds an M.B.A. from Columbia Business School and an M.A. in international policy studies as well as a dual B.A. in economics and international relations with honors from Stanford University. Katie lives in Manhattan with her husband and two children. David is the Fintech Practice Director at Bankable Frontier Associates, a leading consulting firm in the financial inclusion space, and the Founder and Chairman at Frogtek, a social venture that empowers shopkeepers in emerging markets to grow their businesses and escape poverty. Prior to founding Frogtek, David worked for five years designing mobile applications in Vodafone’s Research & Development group in Spain in partnership with companies such as Nokia, Adobe and Ericsson. David has an MBA from Columbia Business School where he was awarded the Nathan Gantcher Award in Social Enterprise and co-founded Microlumbia. David holds a dual degree in Telecom Engineering from UPM in Madrid and ENST in Paris. He is an Echoing Green Fellow and a Young Global Leader at the World Economic Forum. Philip began his career at Merrill Lynch in 1982. After six years as a Corporate Finance generalist covering major Fortune 500 companies, he joined Merrill’s High Yield and Restructuring Group as a Managing Director. In 1994, he joined the firm’s Asia Pacific Investment Banking Group, in Hong Kong and Singapore. Mr. Bowers moved to Tokyo in 1998, growing the office from 20 to 90 bankers. During his tenure in Japan, Merrill was voted “Best Foreign Investment Bank” in 1999. Returning to New York in 2002, he gained middle market merger & acquisition experience working in the Exclusive Sales and Divestiture Group. In 2004, Mr. Bowers became Head of US M&A for Nomura Securities before starting his own investment banking boutique, Linkwell Capital. He joined Bentley Associates in 2008. Mr. Bowers earned his B.S. from University of Virginia McIntire School of Commerce and his MBA from Columbia Business School. Michael is Vice President of the Social Performance Group of Moody’s Corporation, where he develops social performance assessment products for microfinance and other social investments. He previously worked with Deutsche Bank where he co-developed the microfinance industry’s first investment vehicles and managed microfinance investments in over 30 countries. He serves on the board of the DB Microfinance Development Fund, the Global Commercial Microfinance Consortium, and is founder of MicroCredit Ltd., Jamaica’s largest independent microfinance institution. He is co-founder of the Microfinance Club of New York, and a member of the Social Performance Task Force. He serves as Chair of the Opus Prize Foundation. He holds an MBA from Columbia Business School, a JD from William Mitchell Law School, and an BA from the University of Notre Dame. Jon Sagal is a Vice President at Starboard Value, a New York-based investment adviser that invests in deeply undervalued small cap companies and actively engages with management teams and boards of directors to identify and execute on opportunities to unlock value for the benefit of all shareholders. Jon graduated from Columbia Business School in 2012, and served as the Co-President of Microlumbia for the 2011-2012 academic year. Jon’s microfinance experience includes working with PlaNet Finance in Kathmandu, Nepal, prior to business school. Jon also worked as an investment analyst at Mill Road Capital, where he focused on long-term public and private equity investments in microcap companies, and Prentice Capital Management, where he focused on investments in consumer and retail companies. 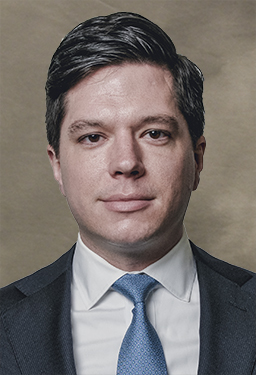 Prior to Prentice, he was an investment banking analyst in the Mergers & Acquisitions group at Rothschild Inc. Jon graduated from Princeton University in 2004, with a degree in Philosophy. Vikas Raj is the Managing Director of Venture Lab, Accion's seed-stage financial inclusion impact investment fund. At Venture Lab, Vikas leads the group's work on sourcing, evaluating and structuring investments globally, as well as sitting on the Boards of portfolio companies and helping to drive strategic direction. Prior to joining Accion, Vikas worked at Evercore Partners' Mergers and Acquisitions team, where he advised on multiple corporate transactions with aggregate value of over $45 billion. Previously, Vikas spent two years focused on the Microfinance Sector, primarily in India, at Ujjivan and Catalyst Microfinance Investors (CMI). Vikas has a bachelor's degree in Philosophy, Politics and Economics from the University of Pennsylvania and got his MBA from Columbia in 2010, where he was co-president of Microlumbia. Courtney is a Manager in Morgan Stanley's Global Sustainable Finance practice. She received her MBA from Columbia Business School in 2017, where she was the Co-President of Microlumbia and awarded the Morgan Stanley Sustainable Investing Fellowship. Courtney received her BA in Economics and Spanish from Williams College. Prior to business school, Courtney spent six years working in economic and nonprofit consulting. Reid is an Associate at PJT Partners in New York as part of the Restructuring and Special Situations team. He previously served as Co-president of Microlumbia while earning his MBA at Columbia Business School. Prior to business school, Reid spent four years at Ernst & Young working in financial services and private capital advisory. He also holds a BBA in Finance and Accounting from the University of Michigan Ross School of Business. Danielle joined Goldman Sachs in 2015 after being recruited from Columbia Business School. Prior to attending Columbia, Danielle served as a consultant to the federal government, primarily supporting the Department of Veteran Affairs. Danielle attended Dartmouth College where she earned a B.A. in History and was named a First Year Fellow. Danielle currently serves on the board of Microlumbia Inc., a non-profit investment fund in New York City, and is a charter member of the Smithsonian National Museum of African American Arts & Culture.